Home news How Close to China Is Too Close for Israel? 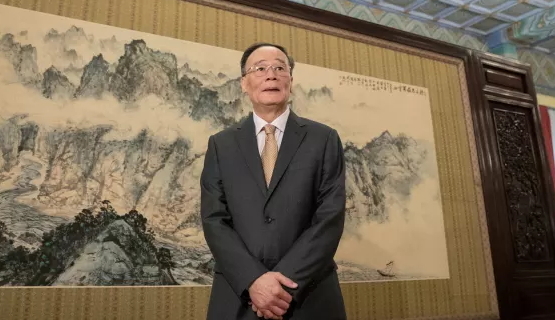 There’s no denying that Monday’s arrival in Israel of Chinese Vice President Wang Qishan, the man often dubbed “the second-most powerful in China,” is a coup for Benjamin Netanyahu. 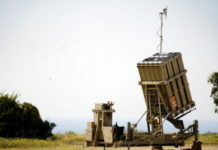 When Netanyahu returned to the Prime Minister’s Office in 2009, the relationship with Beijing was still damaged by the Phalcon crisis of a decade ago (in which Israel, under U.S. pressure, canceled the sale of surveillance planes to China), and a subsequent clash with the Chinese over the sale and maintenance of military drones. In the last nine years, Netanyahu has achieved a turnaround in the ties, by opening Israel up to every sort of business with China, not just arms sales, and Qishan’s arrival for a three-day “Innovation Summit” is one of the crowning achievements. A large trade delegation will be accompanying Qishan, reflecting the fact that Chinese companies invested $16 billion in the local economy last year, particularly in high-tech, and China is now Israel’s second-largest trading partner, eclipsed only by the United States. But it’s not just tech. Israel has issued 20,000 work visas for Chinese construction workers and they’re not building only neighborhoods, as they are now around the world; Chinese companies are also bidding on, and winning, major infrastructure projects. Chinese companies are building and will be operating the new ports at Haifa and Ashdod. If they win the planned tender to build the new rail line to Eilat, it will give China a stake in all three of Israel’s main sea outlets. Not everyone in Israel is overjoyed about this development. Currently serving officials are careful not to go on record, but some of Israel’s most senior former civil servants are speaking out. Shaul Horev, former chairman of the Atomic Energy Commission, said in August that Israel is not weighing the security and diplomatic implications of allowing China to control its ports. 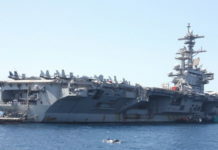 He quoted American officials who told him that this would mean that the U.S. Sixth Fleet would no longer consider Haifa one of its home ports. Halevy warns that should China have to choose between Israel and Iran, or any other Middle Eastern enemy of Israel, the choice will be clear. Some eager Israeli businesspeople talk up Israel’s prospects of being part of China’s global “Belt and Road” investment plan. But Israel is not part of the “new Silk Road.” It isn’t on any of the routes and more savvy Israeli entrepreneurs are aware of a darker side of the Chinese investments. 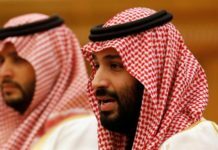 But while Israel is scrupulous now not to anger the Americans by selling the Chinese any military hardware, the intensifying relationship may cause a different problem with the Trump administration, which is escalating its trade war with China, forcing Netanyahu to choose between Washington and Beijing.